The world might go through a tremendous change but friends are the people are by our side….no matter what. 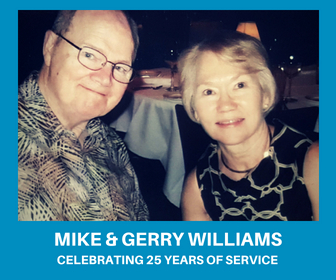 Thank you, Mike and Gerry, for 25 years of unselfish service to our Lord through Mission Possible. Please come celebrate with us at Church Under the Bridge Sunday, August 12th at 10:00 AM.